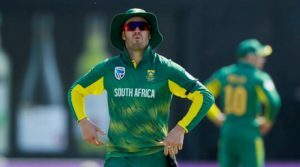 South Africa have been dispatched prematurely from another major tournament following their defeat at the hands of India in the ICC Champions Trophy. The Proteas needed to beat India to advance to the semi-finals of the competition, but endured a devastating defeat, including a number of embarrassing run-outs to end their aspirations. South Africa have extended their trophy drought to 19 years, with their last success coming in the ICC Knockout Trophy in 1998. Since then the nation has known nothing other than huge disappointments, with a number of frustrating and bitterly disappointing exits. This included their inability to progress from the group stage when South Africa hosted the World Cup in 2003, which featured a humiliating loss regarding their Duckworth/Lewis calculations. The Proteas have never been able to shirk their reputation of being vulnerable under pressure, despite boasting one of the most talented sides in the world. AB de Villiers’ men were ranked number one by the ICC in ODI cricket before the tournament, but their early exit will likely knock down a few rungs on the ladder. Even before the Champions Trophy, the Proteas were humbled by England in a 2-1 series defeat, which kickstarted their preparations in the worst possible manner. They recovered with a thumping win over Sri Lanka in their opener in the tournament, but two woeful performances with the bat cost them their semi-final berth, losing to Pakistan and India. De Villiers has already expressed his desire to lead South Africa into the 2019 World Cup, which will also be held in England. Despite their failure in the Champions Trophy, the Proteas are backed in the early cricket betting at odds of 4/1 to win the competition for the first time. However, the skipper will be 35 at the time of the tournament and the Proteas’ failure in the Champions Trophy could prompt a change in leadership, with Faf du Plessis already captaining the Test and T20 sides instead of De Villiers. De Villiers is one of the finest batsmen in the world but was not able to thrive in the tournament, scoring a combined 20 runs in his three innings. To get such a meagre contribution from their skipper was part of the Proteas’ downfall, although he was on the receiving end of a poor run-out decision from his team-mate Du Plessis in the match against India. As a result, passing on the captaincy could be in order for South Africa to get the best out of their star man with the bat. At the age of 35, Hashim Amla will not be desperate to inherit the duty once again, having relinquished the Test captaincy only last year, while Du Plessis could work in the short term, although carrying his side’s fortunes in all three formats could be too much for the 32-year-old. The answer could be provided by Quinton De Kock, who has established himself as one of the rising stars of the game. The 24-year-old already has 12 ODI centuries to his name in just 85 matches and would seem the perfect candidate to lead a young South African forward into the next World Cup. 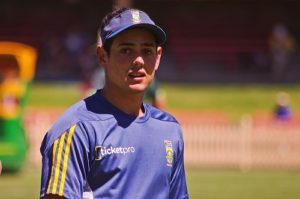 As the team’s wicket-keeper, he will have already built a strong strategic mind and could provide the mentality to take the Proteas over the line and break their cycle of failure at major tournaments. As Australia and New Zealand have proved, putting faith in young players can lead to success following their decision to appoint Steve Smith and Kane Williamson respectively. South Africa should follow suit to bring forward a new era in the nation’s ODI cricket.